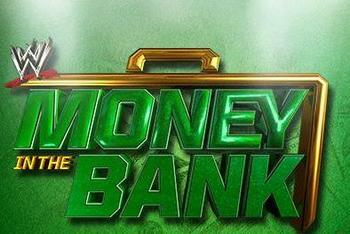 Money in the Bank is a professional wrestling pay-per-view event, produced annually by WWE. It is named after the Money in the Bank ladder match, which previously only took place at WrestleMania. The Money in the Bank ladder match debuted at WrestleMania 21 in 2005. The Money in the Bank match would then be held at the next five WrestleMania events, after which the match concept was spun off on to its own pay-per-view beginning in 2010.